The reliability of your telecommunications provider makes for the foundation of your business. If you cannot stay in constant contact with your customers, you will lose the majority of your business. You have to ensure that connection is not interrupted, or broken, at any time. 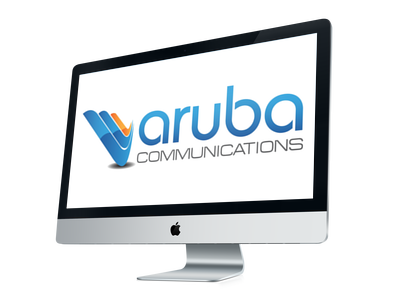 That is where we come in, Aruba Communications will act as a liaison between your business and the carrier you select. This makes it easy for us to compare multiple carriers, and select the best fit for you, and your business needs. We may be able to get you a lower price that you did not know was possible due to our access to regional carriers. We know that all of the technical wording used in contacts can be hard to understand, and can make you feel worried about if you are receiving the best deal for you. That is why we have experts, available at your convenience, to thoroughly explain every part of it. We are here to help you make a well informed decision that fits your business needs. We are paid by the carrier on a monthly basis, which motivates us to get you the best deal. When you contract with the carrier’s internal sales representatives, they are only paid once the sale is complete. So the more your monthly bill, the more they receive for their one-time commission. However, Aruba Communications does not function like this. We look out for your best interest, and the contract that will keep you the happiest the longest. Some contracts have to be modified in order to integrate your business with the cloud. This can be a delicate process as you want your Cloud environment to be optimally configured. Cloud computing and networking may be hard to find, but you will find it at Aruba Communications. We will ensure that you receive our expert’s help if you choose to elevate your business with the Cloud. We are made up of a team of experts. Every installation has criteria that must be met before we leave. With an installation checklist ready, we ensure phone lines are properly tagged by us, or by a third party company if applicable. With an expert supervising this process, you never have to worry about the integrity of your service. We specialize in Business Class Voice, Data, Cloud, VoIP, Wireless, and Cable Services.